I moved into my house in Pipes Canyon in October, just as the scorching summer sun began to hibernate. 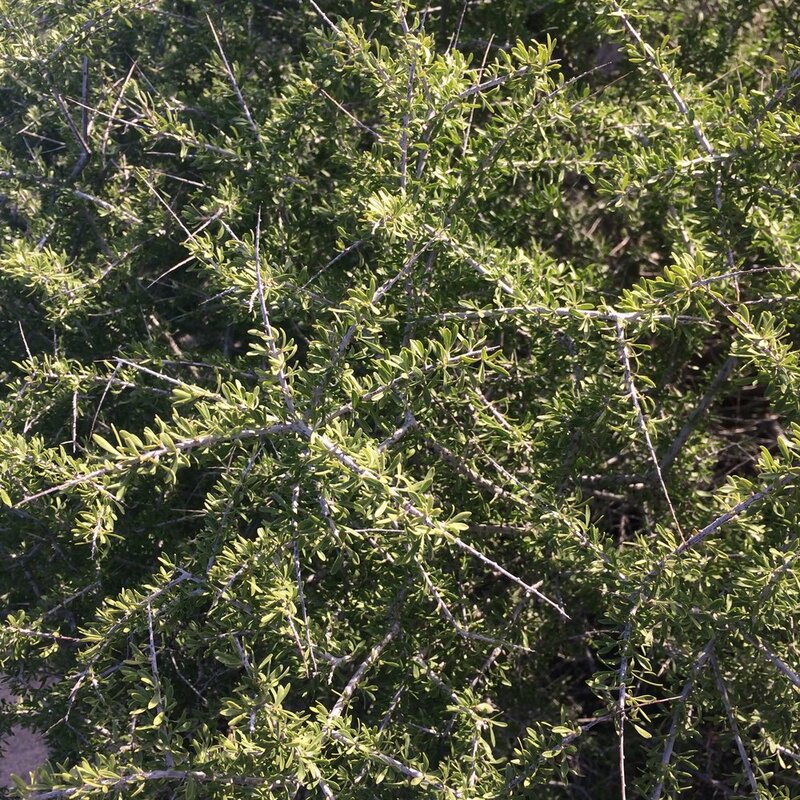 The vegetation was skeletal, leaves and green parts absent, dormant until spring. I take daily walks along the dirt roads and through the brush. Everything appeared dead, except the yuccas and joshua trees, which always bear green spikey lances. I wondered if I would ever be able to identify any of the bushes and shrubs, or if the whole landscape would always present as a massive tangle of sticks. It rained a lot this winter. I didn't really know what to expect in the months that followed, but when the first group of brambles began to produce teeny little green speckles along their angular, almost pattern-like geometric branches, I was overwhelmed with a corny sense of joy that I can't really justify, other than that it was beautiful. Over the course of several weeks in March, the entire ground began to turn. Magnificent shades of green developed, contrasting and complementing one another against the crisp sky and golden rocks. Still everyday, I would try to figure out what that one particular plant was, the early bloomer that first notified me of spring, the one that lines my driveway and all the dirt roads leading up to it. It wasn't until it flowered that I easily pegged it as Desert almond, prunus fasciculata, a member of the rose family (rosaceae.) This past week, fuzzy little fruits emerged, green with tinges of red. Supposedly, they are edible...although they contain high levels of cyanide (so do apple seeds), and aren't exactly a choice food. A lot of reputable resources have listed the seed as toxic, and Temalpakh, the go-to native food book that details the Cahuilla Indian usage of plants, mentioned that it was probably a food source; but this was a mere sentence among two pages concerning the Prunus plant genus. 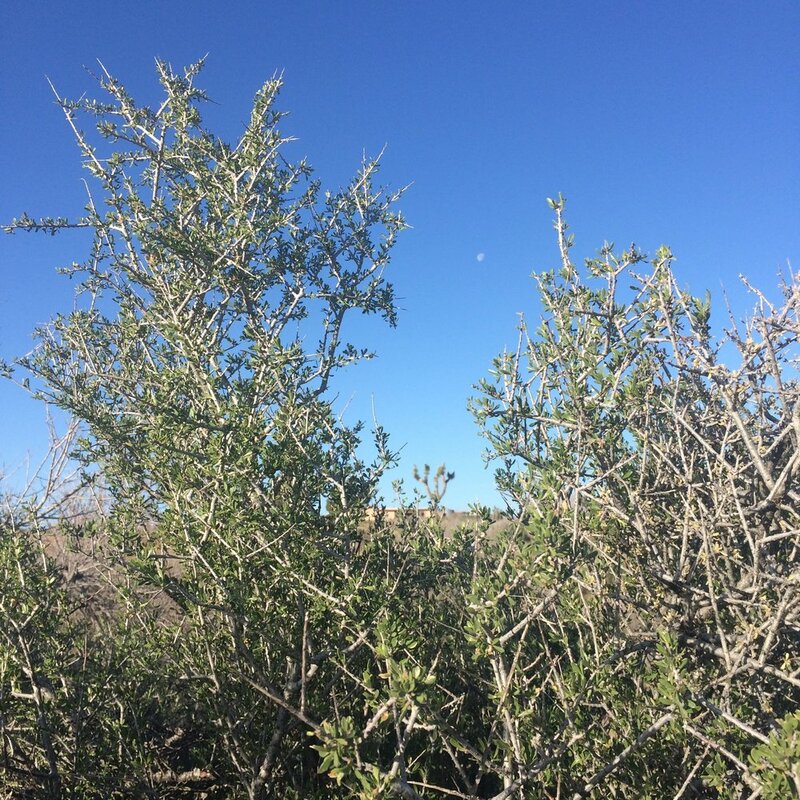 So that's day one: Desert Almond (Prunus fasciculata, rosaceae family), the plant that got me thinking that I really would like to get to know what's growing in my immediate surroundings, and that really, it's not that hard.